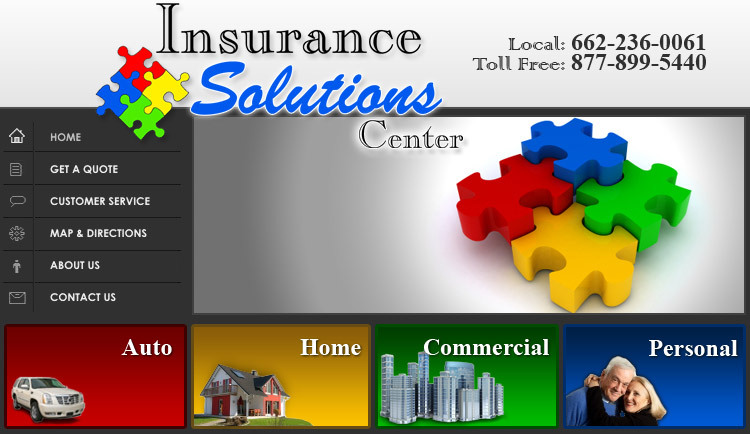 Insurance Solutions Center is an idea materialized. Our founder Eddy Stokes had a rapidly growing captive insurance agency. His agency won awards for customer service and he even helped train other agents with the company. He had many customers that had needs he couldn't fill due to limited offerings from the company. There were also times that his company's price was out of line. His customers went to independent agencies usually for needs he could not fill. He observed many of these agencies served his customers in a manner below his agency's standards. The other reality he observed is even many independent agencies only represented a few companies. His idea was to form an agency with as many markets as possible for his customers' various needs and keep the same high level of service his agency always had. We are Insurance Solutions Center. We have multiple markets from top companies for nearly any insurance need you could have. We are always on the lookout to expand our offerings to better serve our customers. If you want complacency from your insurance agency you need to go somewhere else. Our friendly experienced agents are dedicated to making sure you are not only properly covered from the risks you face, but at the best possible price. There is no one size fits all company for any need. So many different variables go into underwriting insurance policies that the company best for you today may not be tomorrow. Any company can have a rate hike at any time. Our customers need not fear if they ever get a renewal in they don't like, we can shop it and place it with whatever happens to be the best fit at the time. At Insurance Solutions Center we want your business. We strive to provide an extraordinary level of service so you will will tell your friends and family, because we want their business too. Call Insurance Solutions Center for all your insurance needs now and from now on.